ACHIEVE OPTIMAL HEALTH & A HIGHER QUALITY OF LIFE WITH A CUSTOMIZED TREATMENT PLAN INCORPORATING BIOIDENTICAL HORMONE REPLACEMENT THERAPY! 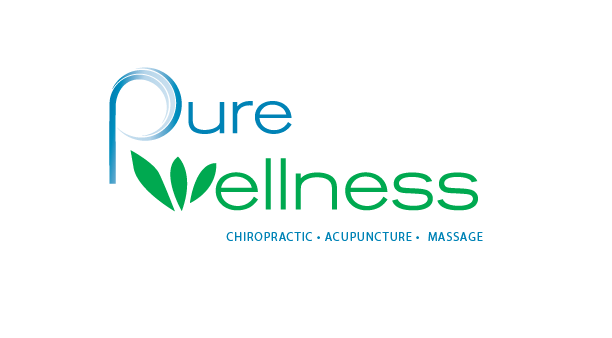 If you are eager to restore normal hormonal levels and reduce hormonal imbalance symptoms contact Pure Wellness Functional Medicine today! Dr. Lisa DiRenzo, is a highly trained Doctor of Osteopath specializing in bioidentical hormone replacement therapy (BHRT). Find out if you have high or low testosterone, progesterone or estrogen levels. Whether you are grappling with symptoms of aging or diagnosed conditions such as menopause, perimenopause, adrenal fatigue, andropause or thyroid disorder we offer a treatment solution designed just for you. Our goal is to help replace and restore natural hormone levels that decrease as we age, back to optimum levels. We are committed to improving your well-being and quality of life, while promoting a longer and healthier life span; the essence of preventative & restorative medicine. Why Bioidentical hormone therapy (BHRT) vs. Conventional Hormone Replacement Therapy (HRT)? Conventional Hormone Replacement Therapy (HRT) uses synthetic hormones such as Prempro, Premarin, and Provera. Synthetic hormones are man-made, chemically based and often patented, resulting in the same care for every patient. Bioidentical hormone therapy uses bioidentical hormones, which are much different than their highly-controversial counterpart, synthetic hormones. Bioidentical hormones are custom-compounded hormones derived from naturally occurring sources, extracted from plants, such as yam and soy, designed to be an exact replica of natural hormones that the body organically produces. The fundamental difference between conventional (synthetic) hormones and bioidentical hormones is the structure. Because bioidentical hormones are structurally identical to endogenous human hormones, they operate on the same cellular level, fitting with the proper receptors and initiating the same sequence of physiological reactions as natural hormones. What are some Hormonal Imbalance Symptoms? You do not need to have all symptoms to confirm you are showing signs of hormonal imbalance. In fact, you may have just two or three symptoms and they may vary at different times of the month. Additionally, Bioidentical Hormone Replacement Therapy may also help relieve symptoms of PCOS & Thyroid Disorders. There are many causes of hormonal imbalance including stress (emotional, work-related, dietary or physical), digestion problems (such as constipation, diarrhea and gas) and improper thyroid function. Within the human body are roughly one trillion cells that rely on the precise balance of hormones to carry out a variety of functions. Hormones act as chemical messengers in the body, and when any component in the system fails, the body can no longer perform optimally. Often, the symptoms related to hormone imbalances are due to barriers on the cellular level. Dr. Lisa DiRenzo, will methodically evaluate your hormone imbalance symptoms, along with a comprehensive review of medical history, lifestyle and hormone testing to identify your personal healthcare needs. Results from the blood and urine testing are reviewed and all hormone treatment plans are tailor-made to focus on your specific needs and goals. This form of a personalized diagnostic protocol will make certain that each patient receives the most precise and safe treatment options available. Dr. DiRenzo will continue to monitor improvements and re-evaluate your treatment, assuring that ideal balance is sustained. If you are eager to restore vitality with expert care from a highly trained physician who specializes in bioidentical hormone replacement therapy, contact Pure Wellness Functional Medicine today. Dr. DiRenzo and her team can help you reach your health goals and experience total wellness. Dr. DiRenzo is one of the only physicians in Delaware skillfully qualified to help you attain your health and wellness goals. Get started on a custom-made treatment plan designed to fit your lifestyle and ensure you reach optimal wellness. Begin your journey and regain your life now, call Pure Wellness Functional Medicine to schedule your first appointment!